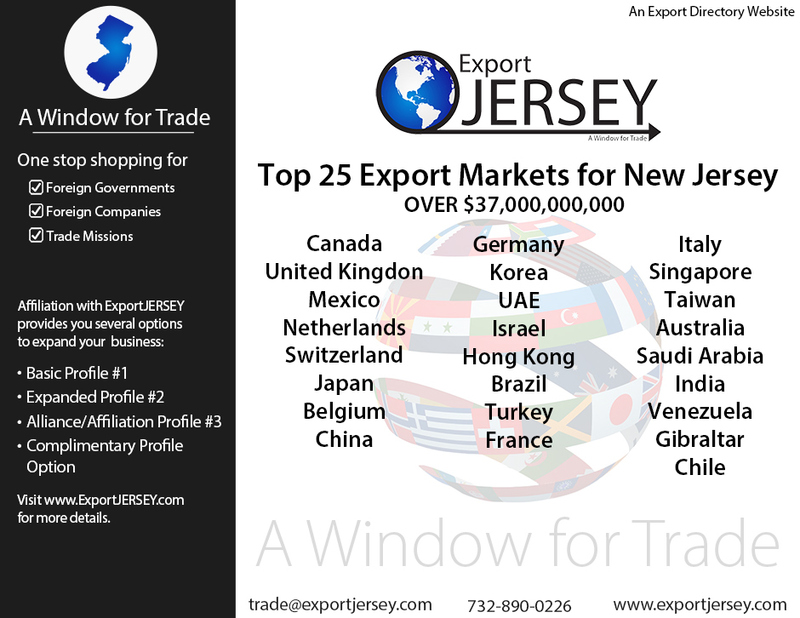 ExportJERSEY is supported by dedicated New Jersey businesses, entrepreneurs and government entities, who want to promote and increase New Jersey’s exports. We believe it’s vital to create one complete website directory, listing New Jerseys exporters as a resource for foreign governments and foreign companies. As well as a resource for U.S. Departments of Commerce. We want to shine a light on the vast and varied industries New Jersey has to offer to the world business community. Our motto – "Give us your shopping list and we will fill it"
Our tag line – "Window to the World"